My brand new demo RebbStars which was created together with Premium from Paradise and Rebb from TRSI was released in the Oldschool Demo competition at the Revision 2014 demo party in Saarbrücken.It is a port of the Old Cranky Style Amiga intro by Genesis Projects. On the left you can see the port, on the right you can see the original. I also created a litte 1k compo filler named Boom!k for the Oldschool 4k Intro competition at the party because SvOlli was afraid there wouldn't be enough entries. It is based on some unreleased code that was hanging around on my drive since 1991 due to missing idea what do with it. 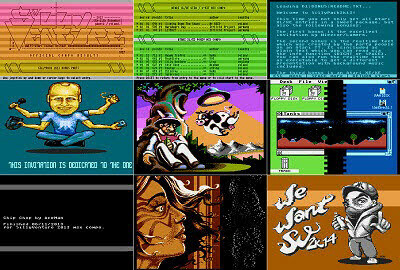 You can find the downloads and the sources for both releases on the Atari page. 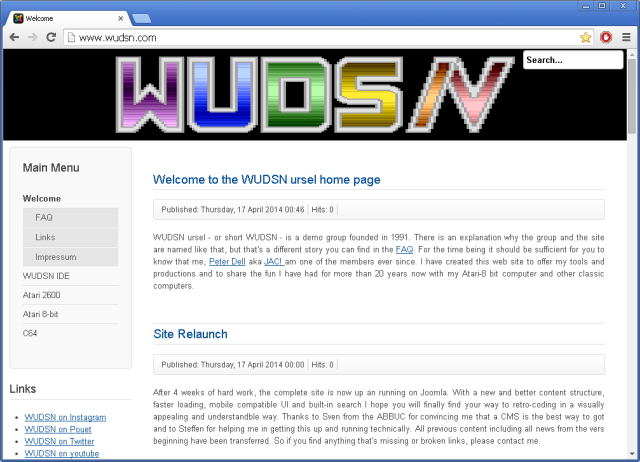 After 4 weeks of hard work, the complete site is now up an running on Joomla. With a new and better content structure, faster loading, mobile compatible UI and built-in search I hope you will finally find your way to retro-coding in a visually appealing and understandble way. Thanks to Sven from the ABBUC for convincing me that a CMS is the best way to got and to Steffen for helping me in getting this up and running technically. All previous content including all news from the vers beginning have been transferred. So if you find anything that's missing or broken links, please contact me. At the end of January I delivered a 35 minutes presentation about the Atari Video Computer System (VCS, Stella, 2600), its history and architecture and how to code for it using WUDSN IDE. Especially the live coding part was very appreciated by the audience. Changing a single line of code and seeing immediately what happens brings you as close a possible to the machine. The recording of the presentation is now available on my youtube channel. The slides (PDF) and the sources can be downloaded from here. I recommend you open the slides in parallel, so you can read the content and code correctly. Thanks to Julien for the event and SvOlli for the slide templates. I've received requests to also provide a 32-bit version of the zero installation distribution. 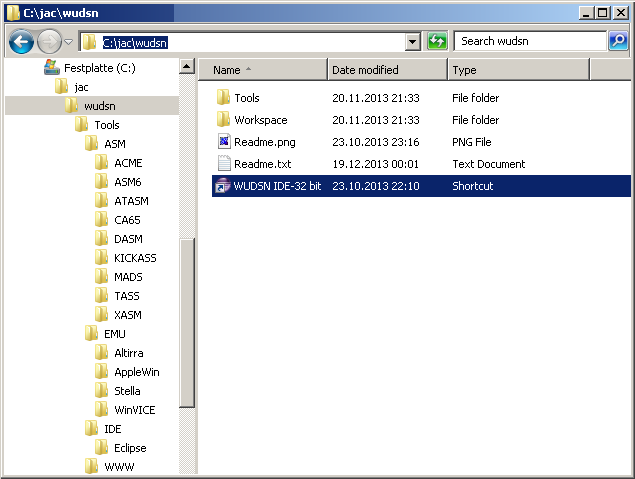 And after figuring out how I can do that without doing everything twice, it's ready for download: wudsn-ide-win32.zip. I have no real 32-bit hardware to test it, so please provide feedback. Thanks also to Timothy, Kevin and Fredrick for the feedback and using WUDSN IDE on Mac OS X. I have extended to FAQs accordingly. Why is the "Assembler" section not visible in the preferences? If the WUDSN IDE specific sections and features are not visible after a successful installation, you are probably using an outdated Java version. This seems to be a common problem on Mac OS X. Make sure you have Java 1.7 installed and that Eclipse is started using that version. Java 1.6 is out of maintenance since 2013/02 . Why do I get "Unable to read repository at ... Read timed out" when accessing the update site?